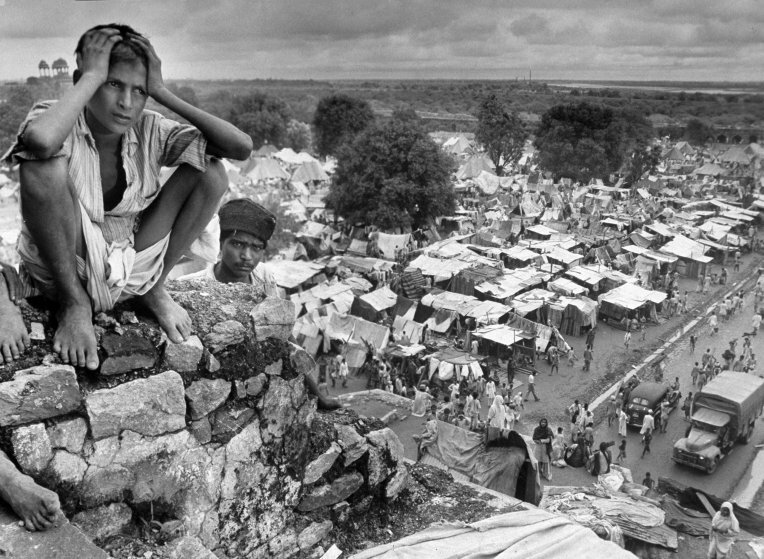 Seventy years ago, in 1947, British colonial rule over the Indian subcontinent ended. At the same time, the newly independent subcontinent was suddenly and violently divided by the founding of two new sovereign nation states, one, Hindu-majority India, and the other, Muslim-majority West and East Pakistan (now Pakistan and Bangladesh, respectively). This bloody event is known as the Partition. Given this record of misrepresentation, the Partition museum signals a shift in the public discourse. It is a way to start making the ghosts of the Partition visible, an important step in facing and memorializing the brutal consequences of the Partition still with us today. The museum is housed in Amritsar’s Town Hall, a building that stood witness to several critical events in the freedom struggle against British colonial rule. 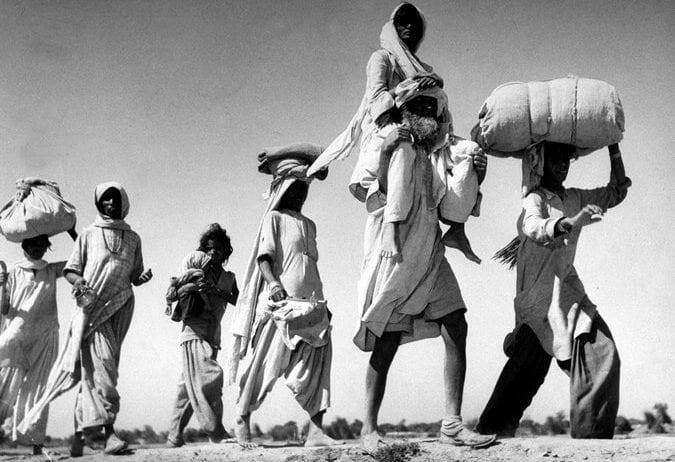 Through donations and contributions from public and private sources, the Partition Museum has accumulated a collection of letters, refugees’ belongings, oral histories, photographs, audio-recordings of songs and poems from the pre-Partition era, official documents, maps, and rare newspaper clippings relating to the event. 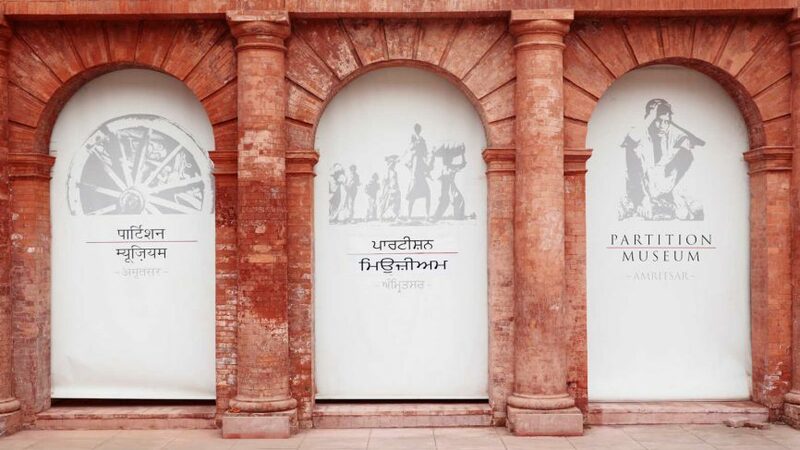 Together the memorabilia reconstruct and preserve stories of the Partition. Yet, even the use of the term “Partition” remains, itself, fraught. For example, as it was a moment of separation, division, and violence, it was also the moment of Pakistan’s independence, making its meaning both painful and proud for many people. Furthermore, the singular nature of the term is also problem; the Partition was not the drawing of a single line, it was the drawing of many lines in many places, lines that continue to create and reinforce fractures between and within communities. That is to say, the Partition was not a Partition, it was many partitions. Indian feminist and publisher Urvashi Butalia’s new edited book, Partition: The Long Shadow , is one of the first works to introduce us to the multiple other, plural, narratives and to explore the durable effects of the Partition. For Butalia, Partition is an umbrella term subsuming many neglected histories within it. Urvashi Butalia is among the foremost scholars of the Partition. Her book published in 2000, The Other Side of Silence: Voices from the Partition of India, was written with a “deep and abiding feminism” and broke ground in moving from a generalized, sanitized history of events to particular, unheard, and unspoken memories. The newly published Partition: The Long Shadow continues to advance her feminist methodology and study of 1947 by approaching history through personal narrative. Feminist scholars have long rejected the distinction between the political and personal, challenging the impersonal objectivity of interviews, all the while reflecting on the ethical problem of personal narrative. Butalia acknowledges that the essays in her new book are a “small fraction of the many unexplored histories…(only) some aspects of the Indian experience.” Especially because transnational and collaborative research is extremely difficult due to continued hostility and strained relationships between present-day India, Pakistan, and Bangladesh. Nevertheless, they are an essential new collection of voices and perspectives. Each of the twelve essays in Butalia’s book has a distinct focus, yet together they tell stories of partitions, plural and in lowercase ‘p.’ The volume includes essays about the impact of the Partition on “peripheral” Indian states such as Ladakh and Assam. The book is also notable for paying attention to differentiation and stratification along caste and class lines within the refugee experience. One of the essays in the book is a poignant account of untouchable and poor refugees’ eviction from Marichjhapi, West Bengal and their mass massacre at the behest of the Left Front government. In keeping with remembering “forgotten history,” the book has an essay about the rise and demise of a pre-insurgency communist militia in Kashmir that fought against princely rule and defended a secular democratic state. The volume also has two essays telling the untold stories of the Sindhi community. Underlying all these essays are broader questions of borders, boundaries, home, belonging, and intergenerational hauntings. The volume’s authors ponder questions of representation and incorporate art and new forms of narrative to tell stories within the story of the Partition. The best essays in the book contain visual and textual narratives, while others fail to draw a connection with the reader, and remain impersonal and staid chronologies and appraisals of existing representations of the events. The many details specific to each context, and thus each chapter in the book, are a source of rich information but also form labyrinths of people, places, and events that may be hard to navigate for unfamiliar audiences. Yet, this is a much-needed anthology bringing together academics, activists, and artists who often make connections between the personal and political in telling the stories of partitions. One especially strong essay is by Siddiq Wahid, an academic and political activist, who, in writing about Ladakh, situates the Partition and its effects within the larger phenomenon of modernity. He argues that the Partition forced younger generations of Buddhists, Muslims, and Christians to confront a sudden and rapid change in their established way of life, including a loss of their traditional vocations. Fluid trade routes closed as modern states with strict boundaries, India and Pakistan, emerged, and China took over Tibet, sealing off access to another important trade route. Wahid borrows from sociologist Anthony Giddens to explain the ways in which Ladakhis began experiencing the “discontinuities of modernity” in the early 19th century culminating in the process of decolonization when transition occurred at a speed and suddenness that was “alienating, insidious, imperceptible and traumatic.” Contrary to popular belief that “peripheral” regions such as Ladakh were not affected by the Partition in the same way as “central” states, Wahid argues the “series of partitions—exiles, both physical and mental” are in some ways of greater intensity in the former because they remain obscured. The historic 19th-century Town Hall building now home to The Partition Museum in Amritsar. Panjabi has written about the loss experienced by the second generation, calling them “postmemories,” or memories of the “generation after” of survivors who experienced trauma (a focus of another essay in the book by Sukeshi Kamra). Even though comparisons between the Partition and the Jewish Holocaust are often made, and to some extent justified, Panjabi draws a distinction between the two. 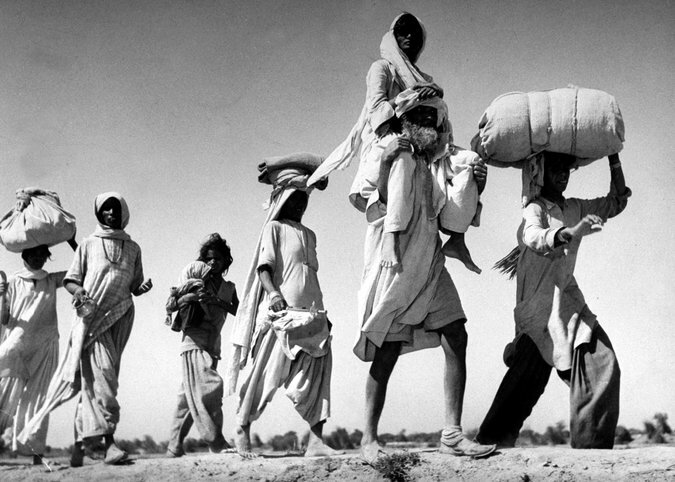 The Partition was not the one-sided genocide of one race by another. It was “an event of reciprocal violence, of a deeply ironic ‘equality’ in which the violated was also the violator, the oppressor also the victim.” Panjabi wonders if the violators and violated nations have the courage and will to mutually acknowledge culpability, mourn together for lost lives, and start looking for mutual forgiveness. She asks if the experience of belonging to homelands can move beyond territorial ownership and if it is possible to claim belonging without possessing? One cannot begin to open up memory and reach a point where the exercise can be done and laid to rest. Every historical moment that offers us the possibility of looking at it through the prism of memory demonstrates that the more you search, the more there is that opens up. Shruti Devgan is Visiting Assistant Professor of Sociology at Bowdoin College. She received her Ph.D. in Sociology from Rutgers University in 2015, and studies stories of trauma, collective memory, emotions, media and transnational flows with a focus on the Sikh diaspora and India. Her recent scholarship examines diasporic, intergenerational and digitally mediated narratives of state-sponsored anti-Sikh violence of 1984 in India.